The U.S. election system was designated as a critical infrastructure in January 2017, in the waning days of the Obama administration. There was a recognition at that point of the vulnerabilities that had developed for nation states to try and interfere in one of our most cherished freedoms — the right to vote. Trust is in short supply these days. All institutions and organizations are under assault. Even our news media is being hounded as to its veracity and truthfulness. Thus, it is not much of a reach for people and organizations at all levels of our society to question the outcome of our electoral process. Even in the last presidential election it was anticipated that then candidate Donald Trump would call the election “rigged” if he did not win. My interest in election security comes from two directions. First as a citizen, I want my vote to count and to be sure that the voting system is not being tampered with either by foreign interests looking to disrupt our elections system, or by the accusations of outright vote tampering by what is casually called “stuffing the ballot box.” Secondly and professionally, my work centers on securing our critical infrastructure from all forms of disasters, both natural and man-made, to ensure they remain functional and reliable. The election system within the United States was designated as a critical infrastructure in January 2017, in the waning days of the Obama administration. There was a recognition at that point of the vulnerabilities that had developed for nation states to try and interfere in one of our most cherished freedoms — the right to vote. I have had the opportunity to interact extensively with the King County Elections Department. My purpose was to investigate and learn what is being done to make sure that the election process is as secure as possible. King County Elections is taking a two-prong approach to securing the elections process. First is the physical security procedures that it has in place. It has an elections center that was designed and built specifically to support the process of voter registration, the maintenance of voter rolls and the counting of ballots. There are 22 security cameras, including six webcams, that livestream when ballots are being processed. Badge-only access to the building is a security measure, with biometric and badge access being required to access ballot and tabulation areas. Before the ballots reach the election’s building, there is always two-person control of ballots that are placed in boxes with a security seal attached to the lid. The Department of Homeland Security, Protective Security Advisors, who do physical security audits, have reviewed its security posture. Tampering with the ballots by anyone from the “outside” would be nearly impossible. The Washington State Auditor conducted the first elections-focused cybersecurity audit of King County Elections, which included application and network-penetration testing, critical security-controls assessments and critical security-controls testing of processes. 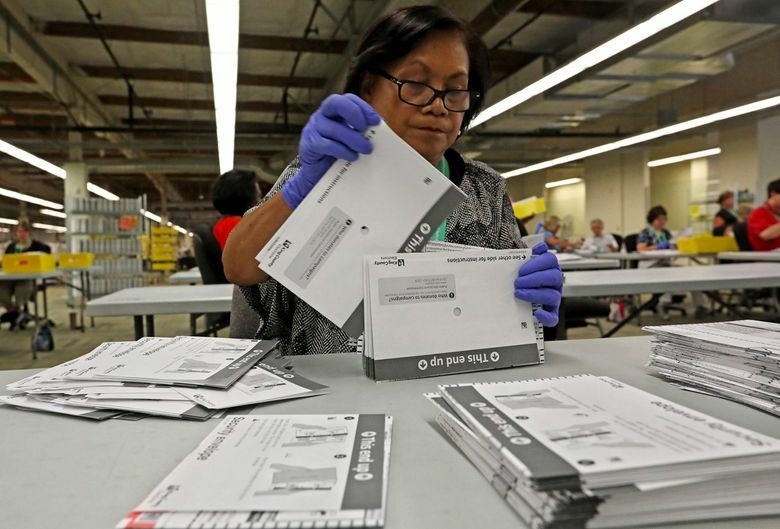 The protective measures in place today include the voter database that is completely separate from the tabulation system (counting of ballots), which is a closed network that is air-gapped with no connections to the outside world. To tamper with these systems would require someone to physically access the space where they are located. These physical security measures prohibit people without a direct role in system maintenance from accessing these automated systems. Even the Director of Elections does not have access. Additionally, Washington state’s “Vote by Mail” system is another physical measure that provides one vote per validated registered voter with signatures on file. This process prevents unauthorized people from voting. Having a physical paper ballot also allows for accurate recounts when necessary. One last thing, I am tired of some of my friends casting aspersions on the King County Elections system. There is no ballot stuffing. There are no dead people voting en masse (death records are regularly checked to remove deceased individuals). While I cannot vouch for the rest of the counties in Washington state or those in other states, I can tell you that in King County, your vote counts and everything is being done to make sure your county election system is functional, accurate and secure. Now go and vote this November. Eric Holdeman is a nationally known emergency manager. He is the director of the Center for Regional Disaster Resilience, which focuses in part on securing critical infrastructures from physical or cyberattacks.